"Dedication" has been my watchword for the last few years. I've spent 100s of hours working with a small set of instruments – Octatrack, Nord Lead 4, Ableton Push, and Absynth. The payoff is when you transcend the technology you can make and change sonic decisions in real-time and focus on making music and live in the moment. It also allows you to make deeper connections to the music and other artists when collaborating and in ensemble situations. Another payoff when you deepen your relationship with your instrument is that you end up building a signature vocabulary of chops and sounds. "Inside the Grid on Altair IV" by Mark Mosher. A One-Note One-Patch Soundscape in Absynth 5 from Mark Mosher on Vimeo. While this might seem obvious, I'm making a point of stating all this here as a nudge. 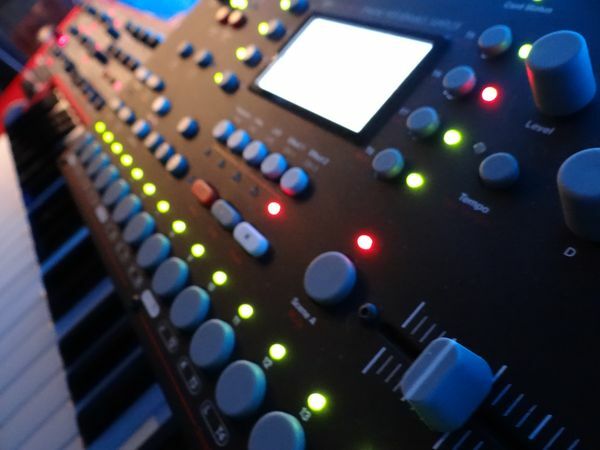 In the world of electronic music it's easy to get caught up in solving creative issues by buying more gear or more sound sets. The alternative path of dedication to a small number of instruments will get your further down the road of your unique artist journey. As you build up your chops and "voice" through your instruments odds are you'll also be invited to collaborate more – which again pushes your craft. It all comes full circle. 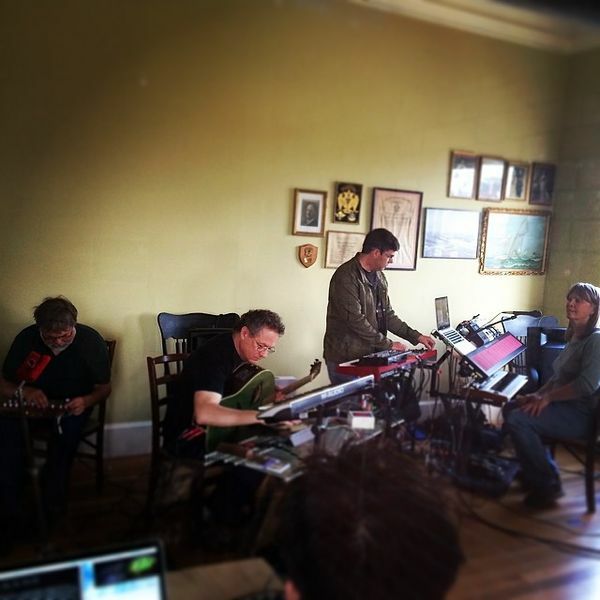 Performing in a collaboration at the Asheville Electro-Music festival 2014 with 16-MCollaboration with Sally Sparks, Bill Fox, Mark Moheny (photoby Adam-Holquist). You'll also be more ready for short-notice opportunities like being asked to do an impromptu performance while visiting a radio station to promote a show. Mark Mosher (Push) & Victoria Lundy (Theremin) Live In-Studio Performance University of Colorado Boulder Radio1190 from Mark Mosher on Vimeo. The instruments you pick almost don't matter – although – I do recommend instruments with depth that will reward your dedication. My personal picks of Octatrack and Nord Lead 4 allwed me to recapture the notion of a hardware "trinity" (synth, sampler, drum machine) with morphing expression. Push turns all of Live into a massive modular backpackable (a big pack mind you) environment with almost no mousing. Absynth allows me to do very complex sound design and shaping. You'll also notice my picks are all quite complimentary. They offer a variety of experiences depending on the situation and my mood. Absolutely right. A year or so ago I decided to commit myself to live performances, so sold anything which wasn’t essential. I’m much happier and more productive with “just” an Octatrack, NordLead 2, and small 2 octave midi keyboard.